Joey Logano is gunning for a championship Sunday at Homestead, and his speed in practice makes him an intriguing play for NASCAR DFS. Which other drivers should we consider? It seems unbelievable, but another year of the NASCAR Monster Energy Cup Series is almost over. 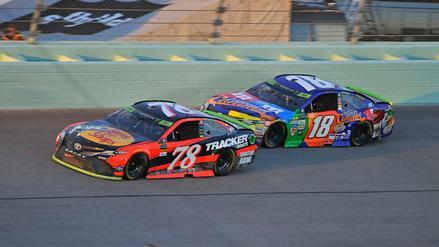 It is Championship Sunday at Homestead-Miami Speedway in South Beach, the host to the NASCAR finale every year since 1999. The old 1.5-mile oval has made for tremendous racing in the past, but the Xfinity and Truck Series races this weekend have been rather uneventful, with Tyler Reddick and Brett Moffitt dominating in relatively boring fashion to win their surprise championships. Will that surprise trend continue with underdog Joey Logano, who won at Martinsville three weeks ago to earn a finals berth? Or will Kevin Harvick, Kyle Busch, or Martin Truex Jr. capture their second career championship? Here at numberFire, we've got you covered for the championship bout. 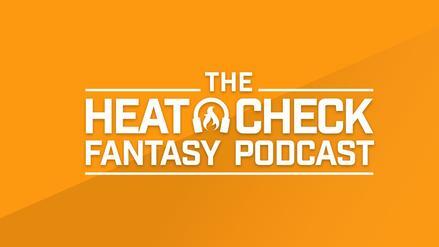 Our track preview gives you more information about this track, our driver preview helps bring you up to speed on drivers' recent history here and elsewhere, and our Heat Check Podcast with Jim Sannes gives you insight to how he is approaching this weekend's slate. With the weekend's first, second, and third practice sessions complete, and the starting lineup set, let's break down the Ford EcoBoost 400 on FanDuel. Kevin Harvick ($14,500): It is rare you get exact Vegas odds on where the four most expensive drivers in the FanDuel player pool will finish, but given those are the championship conditions, we have the access through title futures. Harvick enters the final race of his dominant 2018 season as a co-favorite for the title at +225 odds. Harvick has been a monster on 1.5-mile tracks, including winning the last such race at Texas two weeks ago. Harvick won the title in 2014 and has two top-five finishes the last two years in Miami. Considering this is one of his better race tracks historically combined with his speed this year, and Harvick is a worthy favorite. Worth watching: Harvick's qualifying and practice times are subpar for his standards. While Harvick didn't appear to be overly concerned, this is something to consider. Kyle Busch ($13,500): Busch is the co-favorite with Harvick at +225 odds, and that should not surprise anyone. He won the title in 2015 by winning this race, and he was a spot away from doing it again last year but was unable to catch Martin Truex Jr. in the closing laps. Busch is the highest starting car in the championship fight as he is on the outside front row, and his teammate, Denny Hamlin, did him a huge favor, ceding the best pit stall to Busch. Look for Busch to try to take control of the race early, and Harvick and the other title contenders will try to reel him in over the course of the day. Busch is no slouch himself on the long run, however, as he posted third in final practice in the 10-lap averages. Martin Truex Jr. (13,500): The defending champ used consistency, not wins, to make his way back to the title race. He is a slight +275 'dog to Busch and Harvick. He did not win any of the other nine playoff races and did not demonstrate the speed to do so. Maybe Truex is again the sentimental favorite, however, as his race team, Furniture Row Racing, closes its doors after this weekend's race and Truex moves to Joe Gibbs Racing in 2019. Truex is absolutely flexing his muscle this weekend, posting fifth and second in the 10-lap averages in Saturday's two practice sessions. Truex probably won't be as popular as the first two drivers, so he could very well be a tremendous pivot as the defending winner at this race track. 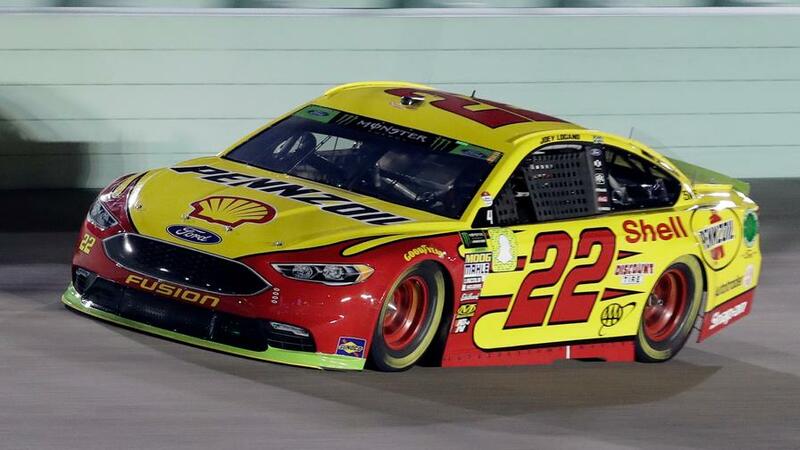 Joey Logano: ($13,500): Logano is the big underdog of the four, listed at +350 to win the title, but Logano went out and won both Saturday practices in the 10-lap average times. That's huge at Homestead, where long green flag runs occur every year. Logano appears to have brought the speed this weekend, but we have yet to see it hold throughout the 1.5-mile tracks this season, which might be why his odds are a little longer. Logano and Truex Jr. also have promised some fireworks after Logano moved Truex at Martinsville to earn his spot in the playoffs. Logano is making his fourth appearance in the Final Four, but he's never won the title. Clint Bowyer ($10,000): Once you extend past the Championship Four, value is the name of the game. Clint Bowyer's slip in qualifying leaves him with a high floor and equally strong ceiling as he's starting 26th. Odds are very low Bowyer mixes it up for the win, and he has dropped all the way to the middle pricing tiers after three straight finishes outside the top 20. Bowyer was 4th and 12th in Saturday's 10-lap averages in another weekend in which all Stewart-Haas cars had plenty of speed. He will likely be a third fiddle in a FanDuel lineup, and that will likely come at steep ownership. Jimmie Johnson ($9,200): Johnson has thrown it back to 2002 this weekend -- both in paint scheme and facial hair. Hopefully the results follow. Johnson has had seven special Sundays at this track, winning all his titles in Miami, but he has been long gone from the title picture this year. This is the final race for his crew chief, Chad Knaus, and his longtime sponsor, Lowe's. Johnson's practice times have been brutal as he's yet to crack the top 25, but Johnson -- who is starting 19th -- has started slow and slowly ascended all races at 1.5-mile tracks in 2018, leading to six top-15 finishes on them this year (and likely had at least two more before late pit penalties). 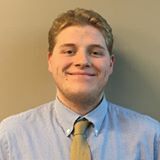 In this price range, Johnson checks a few more boxes than Austin Dillon ($8,800) or Alex Bowman ($8,600), who are starting deeper in the field. Paul Menard ($7,300): With so many heavy hitters worth paying up for, qualifying luckily created some value deep in the field for us. Menard ran only 10 or more consecutive laps in practice in the final session, but he posted seventh in the 10-lap average. Bad luck has kept him out of the top 20 in three of the last four races, but Menard always brings Team Penske equipment and speed to these 1.5-mile tracks. At $7,300, Menard's top-10 upside is too much to pass up as a bargain option who can help you fit in the studs you want. William Byron ($7,000): Byron has already locked up Rookie of the Year by finishing ninth last week at Phoenix. Byron joins Jimmie Johnson and the other Hendrick teammates in being a little shy on speed this weekend, but qualifying so deep in the field -- he will start 28th -- gives him a tremendous floor for this price. 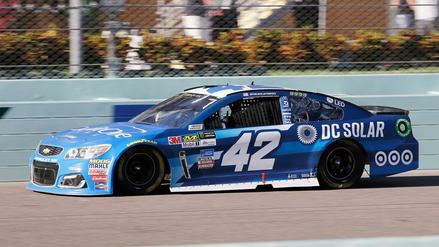 He has six top-20 finishes at 1.5-mile tracks this year, and equally as many hard-luck wrecks to take them away. He will look to close out his inaugural campaign strongly and maybe isn't as pricey as he should be because of his recent wrecks. Ross Chastain ($4,000): Chastain is one of the best stories in NASCAR in 2018. He appeared on the scene three years ago in a truck sponsored by his family's watermelon farm. He parlayed that into an opportunity with Xfinity backmarker JD Motorsports, where he made the Xfinity Playoffs this year with such an underfunded team. That earned him a handful of races for Chip Ganassi Racing, and he stole the show, leading laps in all five races, winning at Las Vegas, and earning a full-time title shot in the Xfinity Series next season. Chastain in MENCS this season has been vastly outperforming his very poor Premium Motorsports equipment. He starts 39th this weekend, which is dead last, and creates a solid floor with 16 top-30s this year. At such a discount, a top-30 showing would work at this salary, and he gives you a lot of freedom to spend elsewhere. If the wrecks were to go crazy and he found a way to get near the top 20, Chastain could be incredible value. Playing drivers with very little chance to finish on the lead lap is not usually a go-to strategy, but a super cheap Chastain may be worth an exception on a day where we want to pay up for the top guys.